WILMINGTON, MA and KENNEDY SPACE CENTER, FL – OSRAM, a global high-tech lighting company, today announced it is providing the National Aeronautics and Space Administration (NASA) with a customized version of its proprietary connected horticulture research lighting system, Phytofy RL. 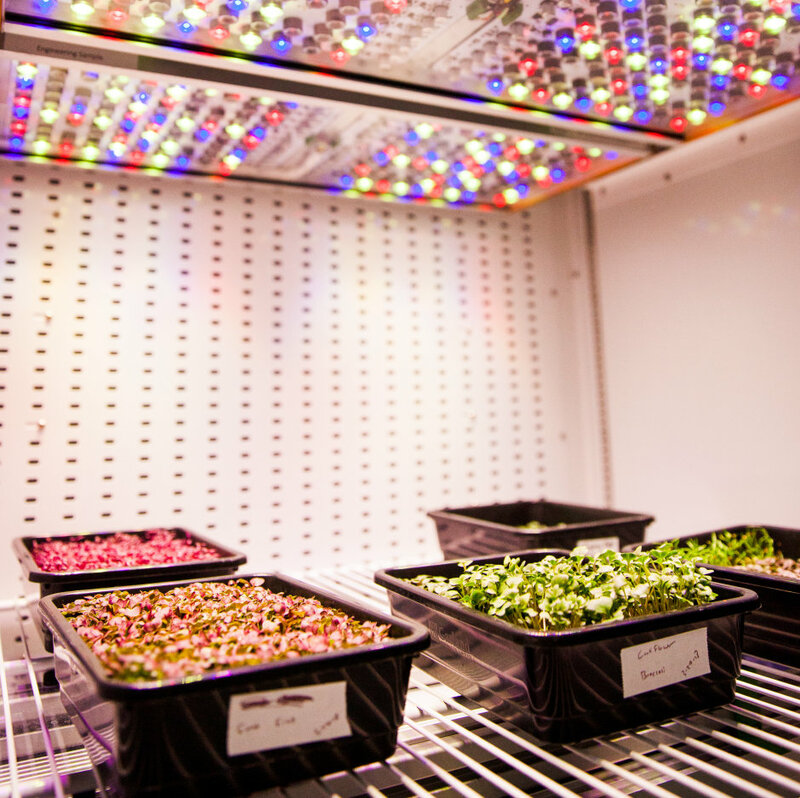 The smart lighting software, coupled with a unique setup of connected grow light fixtures, will supplement the lighting technology used in NASA’s Food Production Research focused on production of salad-type crops for crews during space travel. All software, hardware and LEDs in Phytofy were developed by OSRAM. OSRAM has developed a broad portfolio of horticulture LEDs that irradiate the specific wavelengths needed for optimum growth of a wide variety of plants and flowers, allowing the light to be adapted specifically for the needs of various crops. NASA was introduced to OSRAM through Hort Americas, which works closely with leading manufacturers to provide North American greenhouse growers, vertical farmers and researchers with the most technically advanced and cost-effective products to help them reach their yield, quality and project goals. Members of NASA's food production research team presented Hort Americas with a list of features they wanted from a lighting fixture, Hort Americas then used its network to help NASA team up with OSRAM to learn more about the Phytofy RL horticulture lighting technology, which is unlike anything commercially available. An Irradiance Map -- Researchers can see the irradiance using OSRAM software, so there is no need for them to measure irradiance separately before changing the light setting. OSRAM’s Phytofy RL connected horticulture research lighting system is comprised of smart lighting software coupled with a unique setup of connected grow light fixtures. From left, Steve Graves, Strategic Program Manager of Urban & Digital Farming, OSRAM Innovation, Americas Region, and a researcher discuss the benefit of light recipes on micro greens in a growth chamber, which are being studied as part of ground research at Kennedy Space Center. Steve Graves, Strategic Program Manager of Urban & Digital Farming, OSRAM Innovation, Americas Region, observes microgreens in a growth chamber at NASA’s Kennedy Space Center. 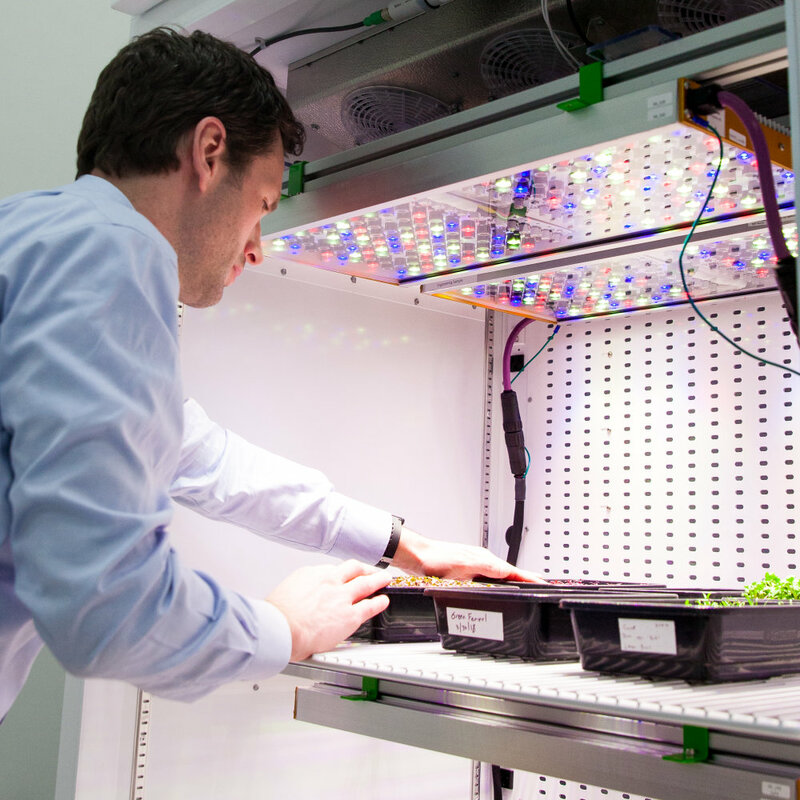 NASA is using OSRAM’s Phytofy RL connected horticulture research lighting system for ground research focused on production of salad-type crops for crews during space travel.